Aleksey (mastermind) added a comment to T60462: Blender 2.8 (various versions) crashes in GPU animation rendering (many card types), both eevee and cycles. Not sure if this is still a problem for some people but I did make one change. I had the default folder for renders changed to another drive. When I switch it back to the tmp folder I rendered fine for a full 250 frames. Can't way for sure if it's related to the folder or because I was rendering less intensive projects or not. Brecht Van Lommel (brecht) merged T63285: Adaptive subdivision modifier not copied to other objects into T49585: Linking subsurf modifier with adaptive checked. Acrivec Cevirca (Acrivec) added a project to T63287: CUDA fails to reinitialize: Cycles. Mohamed Sakr (msakr) added a project to D4644: fix denoiser negative index crash in CPU kernels: Cycles. Mark Gardner (ut_markle) added a comment to T60462: Blender 2.8 (various versions) crashes in GPU animation rendering (many card types), both eevee and cycles. Brecht Van Lommel (brecht) merged T63084: Cycles - Panoramic lenses break bump mapping into T56355: bump map off/wrong for panoramic camera. Brecht Van Lommel (brecht) closed T60735: Cycles renders only first duplivert when mesh has generative modifier as Resolved by committing rB06805251478c: Fix T60735: Cycles render hangs with vertex instancing..
Bastien Montagne (mont29) added a comment to T60735: Cycles renders only first duplivert when mesh has generative modifier. Agree with @Sergey Sharybin (sergey), overhead should be neglectable, and this is by far the simplest and safest solution. Sergey Sharybin (sergey) added a comment to T60735: Cycles renders only first duplivert when mesh has generative modifier. @Brecht Van Lommel (brecht), think creating a shallow copy is the cleanest and the most isolated solution: only needs to be done in a single place of modifier stack evaluation. Brecht Van Lommel (brecht) updated subscribers of T60735: Cycles renders only first duplivert when mesh has generative modifier. In 2.7, CDDM_from_template, cddm_copy and maybe more functions would create CD_ORIGINDEX on the original derivedmesh. This makes things work mostly automatic without modifiers having to do anything. Martín Sanchez (Martincho84) added a comment to T55011: Incorrect wave texture visualization. Brecht Van Lommel (brecht) triaged T54579: Significant differences in rendering hairs on different hardware platform as Normal priority. Brecht Van Lommel (brecht) merged task T62771: Cycles motion vector pass not synced correctly into T62775: 2.8 Vector render layer pass not working . Brecht Van Lommel (brecht) claimed T62829: floating windows on Cycles and Region Overlap. Brecht Van Lommel (brecht) triaged T60462: Blender 2.8 (various versions) crashes in GPU animation rendering (many card types), both eevee and cycles as Needs Information from User priority. We still need to have one example .blend to reproduce the problem. 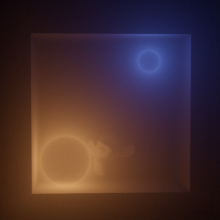 Marcus Papathoma (machieb) added a comment to T60462: Blender 2.8 (various versions) crashes in GPU animation rendering (many card types), both eevee and cycles. For your information, I rendered lots of different sequences in cycles on many computers in our company during the last week. No crash during rendering. Francesco Yoshi Gobbo (FraYoshi) added projects to T62829: floating windows on Cycles and Region Overlap: Cycles, BF Blender: 2.8, User Interface. Krzysztof (zgrzys) added a comment to T57841: Backfacing transparency appears black in GPU (OpenCL) rendering - Cycles. Jeroen Bakker (jbakker) triaged T55011: Incorrect wave texture visualization as Needs Information from User priority. Brecht Van Lommel (brecht) closed T56234: Artifacts when render in Hybrid mode in version 2.8 as Resolved.